The present Methodist church building dates from 1815 and replaced the original buildings of 1773, in which John Wesley preached in 1774 and 1790. The foundation stone and the sundial decoration remain from the original building. 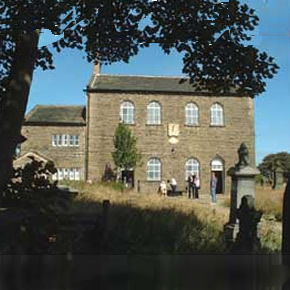 In 1797 a small group left the Wesleyans and became the New Connexion under the leadership of Alexander Kilham (see Kilham Memorial Chapel). At Mount Zion, the Kilhamites were very strong and expelled the Wesleyans, who met in a barn across the road. Mount Zion is the oldest Methodist New Connexion society that has constantly met. The current chapel interior was designed in 1881 by Leeming and Leeming, who also designed the Admiralty Building interior in London. The original pew rent board can be seen in the vestry. The Belgian organ from 1892 is still mainly in working order: one of only six made by this company still in use. Among its displays, the Chapel houses the Horace Hird collection of Methodist ceramics. There is a reserve collection available for study and research. A fascinating and monumental graveyard surrounds the chapel. A new garden and seating area at the front of the Chapel has been created in memory of the former curator, Irene Cunliffe, opened in May 2014. The (internally modernised) cottage where Wesley stayed still stands ajdacent to the Chapel and is available to hire for retreats and meetings. Ogden Water Country Park & Nature Reserve (www.ogdenwater.org.uk) SATNAV: HX2 8YA) Halifax 3 miles. Brontë Country, with Haworth Parsonage, about 7 miles away by car. Opening Tuesdays 2pm - 4pm June, July and August. Please check the Diary Dates page on the website www.mountzionhalifax.org.uk for dates for themed events and Quiet Days. 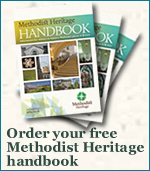 The Heritage Chapel can be opened at other times by prior arrangement. The cottage is available to hire for away days and meetings. Please contact Paula Prosser for prices. Schools, uniformed groups can experience 'A Victorian Sunday' - days can be tailored to fit the curriculum. Car: 3 miles from Halifax; take the A629 north. At Per Lane, turn left and the chapel is on the right. Foot: Mount Zion is on the Calderdale Way, and is set in good walking country.